The News Feed on Facebook more often than not is filled with junk that you probably could care less about. Application updates, comments of comments, links, spam, you name it, but you probably don’t want to see it. Facebook does provide a solution, we can simply filter out all the junk and just see what our friends are saying, aka Status Updates. Ready to minimize spam? This tutorial is quick and easy, let’s get started. 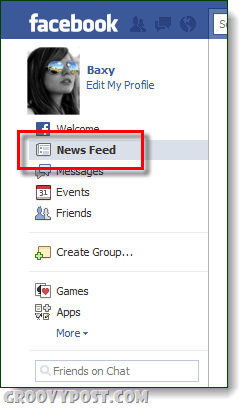 Login to Facebook and Click the News Feed tab from the left-pane. Click the Most Recent button and from the drop-list Select Status Updates. Now you will only see messages on your Facebook home that come from your friends directly typing them in, unless of course they have an automated status update system… Keep in mind that this will block Photos and Page shares from coming up, as well as application updates. 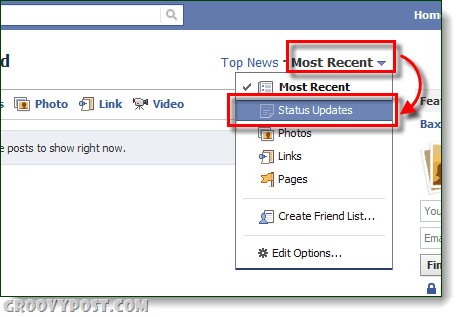 What we really need is a feed customization feature, but Facebook has yet to make one available.